Right Worshipful Raymond E. Hassell, Senior Grand Warden of the Grand Lodge of Rhode Island AF&AM and member of Saint Andrews Lodge No. 39 (Providence, RI) recently visited Hawaii. Right Worshipful Bro. Hassell joined the brethren of the Hawaii Masonic Jurisdiction by helping to raise thirty-two Master Masons at the Grand Master’s One-Day Class. Below is a picture of Right Worshipful Bro. 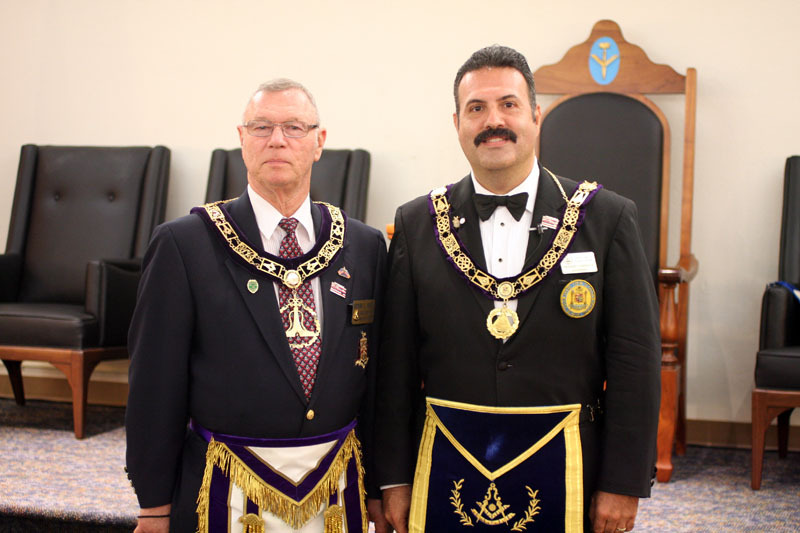 Hassell with Most Worshipful Frank M. Condello II, Grand Master of Masons in Hawaii.